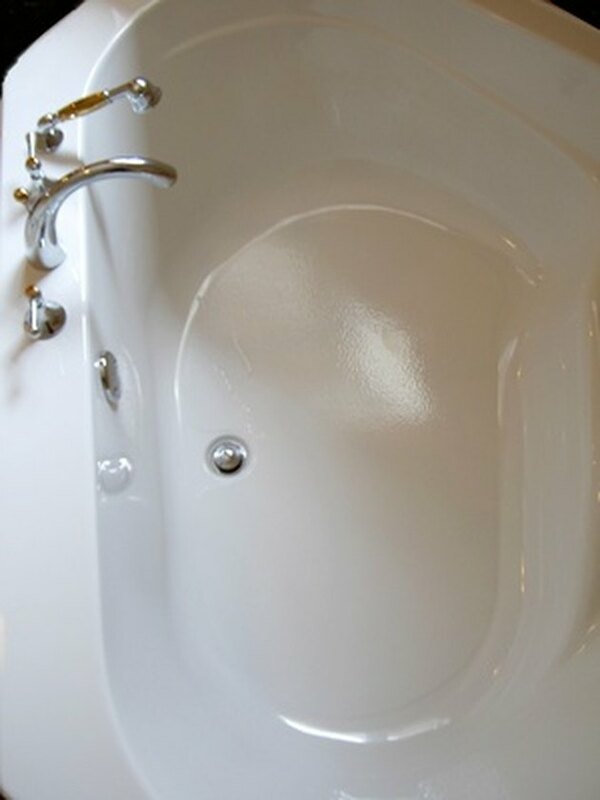 A bathtub faucet creates a squealing noise for a variety of reasons. Fortunately, most of them can be solved with one repair operation. The project involves taking apart the faucet and performing some basic maintenance and clean-up. Set aside two hours to complete the job. There is no particular skill with tools nor a high degree of mechanical aptitude necessary to work on a faucet. Repair a bathtub faucet that is making a squealing noise. Shut off the water supply valves to the bathroom if they can be found next to the hot water heater or in a wall panel on the opposite side of the wall from the faucets. If necessary, shut off the main water supply valve to the house, which is next to the water meter where the water pipes enter the house. Turn the faucet handles to the on position and drain the water lines. Start with the faucet that is causing the squealing noise and lever off the decorative cap in the middle of the knob with the tip of a screwdriver. Remove the screw under the cap by turning it counterclockwise. Pull the knob straight off and remove the faucet cover underneath it by pulling it off. If it is caulked on, cut it off with a putty knife. Remove the packing nut under the faucet cover by turning it counterclockwise with a crescent wrench. Take out the stem by rotating it in the same direction used to turn the faucet on. Inspect the stem for corrosion, rusting or excessive wear to the threads. Replace the stem with a new one if any of these conditions exist. Damaged stem threads or loose faucet parts are a major cause of faucet noise. Replace the neoprene washer at the base of the stem by turning the brass screw counterclockwise and removing the washer. Use the exact same type of washer. Apply a light coating of silicone grease to the washer and the brass screw. Clean the inside body of the faucet thoroughly and flush it out with water from a plastic bottle. A piece of mineral buildup vibrating against the washer may also create a squealing noise. Lubricate the threads of the stem with silicone grease to ensure a good seal to stop water and air from rushing through to create the squealing noise. Reassemble the faucet in the reverse order of the disassembly process, turn on the water and verify the problem is solved. 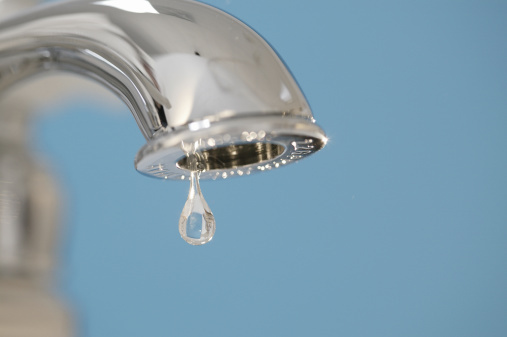 If the squealing persists, it is possible that low water pressure is the problem. This generally requires professional help.